From August 12 to 30, 2019 the University of Bremen in Germany will host the 22nd Informatica Feminale, the International Summer University for Women in Informatics / Computer Science. Every year, Informatica Feminale offers compact teaching in Informatics / Computer Science for women students of all types of universities and colleges as well as for women professionals interested in further training. Computer scientists and women working interdisciplinarily are cordially invited to develop and submit course offerings. Topics from the broad field of Computer Science, ICT, and Informatics are welcome: theoretical, practical, technical or applied computing. We invite scientists, to take the summer university as a test field for new teaching formats and to get experience with highly engaged and interested participants. Additionally, a special focus program will be arranged. We also invite lecturers with course offers on career topics. 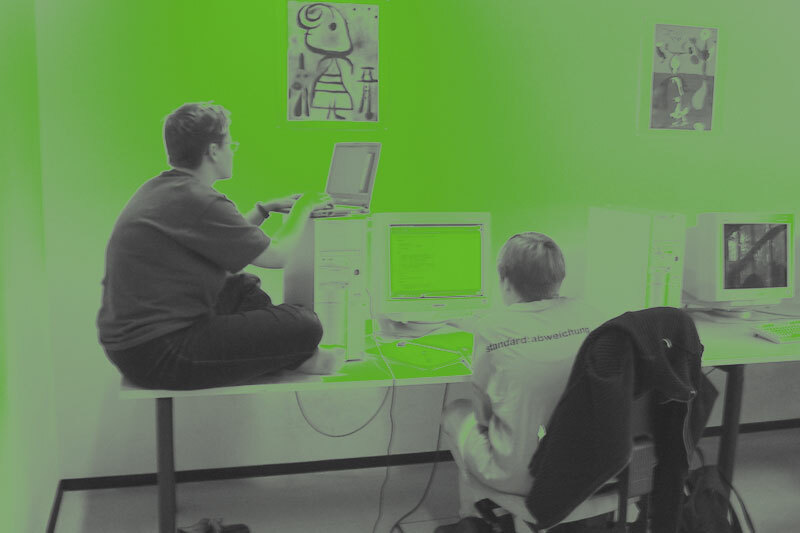 The Informatica Feminale is part of the regular course offerings of Bremen University so that teaching assignments can be given to women lecturers. We are especially looking for international lecturers. Course offerings in German and in English are welcome! The women´s network Informatica Feminale is a place to exchange about technical and social developments, which we meet in our every-day life and which are designed by ourselves as technical experts. The Focus 2019 wants to give space and time for critical reflections and highly welcomes experimental debates on the relations of technological knowledge and developments in societies. We especially invite teaching offers, which deal with applications of technical know-how in spaces for work and life (for example within care, education, health, food, household, mobility, social networking, publicity, sports, militarization, etc.) from feminist perspectives. Companies with gender sensible organizational concepts and successful personal management strategies to promote women engineers to a broad spectrum of leading positions are invited to present their best practices to the participants of Informatica Feminale. For the Summer University for Women in Informatics 2019 we cordially invite women students of all types of universities and colleges as well as women professionals interested in further training from all over the world! You will experience three weeks of professional studies and establish a network with women having manifold backgrounds in a friendly and stimulating environment at the University of Bremen. In parallel to the Informatica Feminale, we will organize the Ingenieurinnen-Sommeruni, the Summer University for Women in Engineering. Your are invited to submit your course also there. >Call for Contributions for the Ingenieurinnen-Sommeruni. Interested lecturers who apply for the first time for the Informatica Feminale in Bremen should give a short overview of their professional background. Furthermore, we ask for some personal information in the submission form, which might be used for advertising the summer university in the program on the website. On the following pages we would like to outline the general conditions for teaching at the Informatica Feminale and to give you advice on submitting a course. You can also find this information in the submission form for course offers. We aim for courses that cover the whole range of informatics/computer science: theoretical, practical, technical and applied informatics, as well as courses that cover interdisciplinary topics. Further explanations are available in the submission form or via email (if@informatica-feminale.de). (sometimes) Pupils with an interest in studying Computer Science. Based on experience, women participate in the Informatica Feminale voluntarily because they are highly motivated by their interest in the given topics or by the experimental possibilities during the courses. Most participants are women students and women experts. Many participants are attending the summer university regularly. Students are coming from international universities and colleges. This requires a lot of communication before and during the first hours of the course to determine a common basis. Participants, who attend the Informatica Feminale for advanced vocational training, often have to take time off from work and are also paying a higher participation fee than students. To give students a specific idea about content, activities and requirements of a course, we need a clear description from you. The Informatica Feminale wants to enable approval of credit for student participants and teaching assignments for lecturers. Please notice, that participants of Informatica Feminale will not have any time for this work during their stay in Bremen, because of social events in the evenings or other courses during the week. Teachers and participants will only be able to work for a specific course during class hours. Within the Informatics degree courses at the University of Bremen, the approval of credits is determined internally and announced on the website of the Informatica Feminale. In special cases, there might be exceptions from this schedule after consultation with the teacher. There will be a free cafeteria only for participants and teachers at the Informatica Feminale, where breaks can be spent. If the lecturer’s employer is refunding travel costs in full or in part, we would gladly list the company or institution as a sponsor on the Informatica Feminale website. For sponsors, there are multiple ways to support the Informatica Feminale. Scholarships for students’ travel expenses are greatly appreciated. Companies also have the chance to present themselves with field trips. From August 12 to August 30, 2019 the 22nd International Summer University for Women in Informatics, Informatica Feminale, will be held by University of Bremen. Every year 200-250 women students and professionals in Informatics / Computer Science and Engineering from national and international universities and colleges take part in the three-week summer university at University of Bremen. 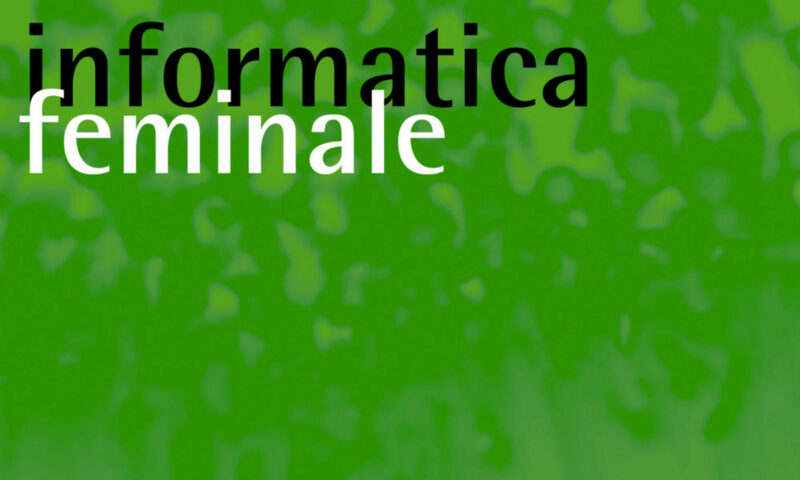 With more than 20 years of experience the Informatica Feminale presents a successful forum for exchanging the latest ICT knowledge and networking internationally. Companies with gender sensible organizational concepts and successful personal management strategies to promote women engineers to a broad spectrum of leading positions are invited to present their best practices to the participants of Informatica Feminale. Join the summer universities with a technical talk or recruiting presentations. We cordially invite you to support the Informatica Feminale 2019. Therefore we have prepared several sponsorship packages for you. Further proposals are welcome at any time.